Update on this years Eastern Classic. Every horse entry will be entered for a chance to win a $50 gas card. Each session at the show we will draw a lucky horse number. That is 8 winners total. A new incentive program for AHANY members and also for non-members. 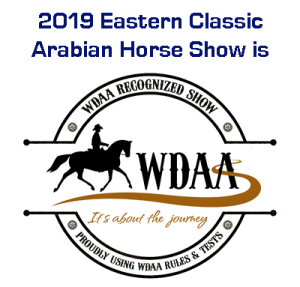 2018 Eastern Classic Horse Show held at The Showplex at Erie County Fairgrounds in Hamburg, New York on June 8-10. Due to the wintery weather forecast, the AHANY Open Show at Stagecoach WEST scheduled for this Sunday, April 29 has been CANCELLED! FYI: Class # 30 as per AHA will now be Walk/Jog Western Trail 10 & Under If anyone needs Walk/Trot English Trail 10 & Under, they may buy any TBA and move it to after class #30 with no TBA charge. Next meeting Saturday 24th March 2018 at Equifest – AHANY booth at 3:00PM. HOPE TO SEE YOU ALL …. Sunday, February 25, 2018 3:00 p.m. Uncle Joe’s Restaurant 4869 Southwestern Blvd. Hamburg, NY Please join us! ALL Members are welcome! !